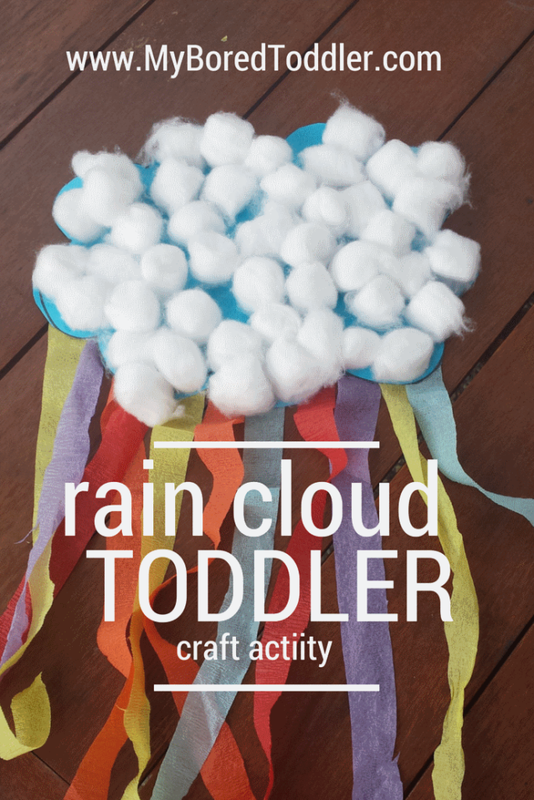 If you are looking for some spring toddler activities or just a fun rainy day toddler activity, this rain cloud craft is fun and easy. 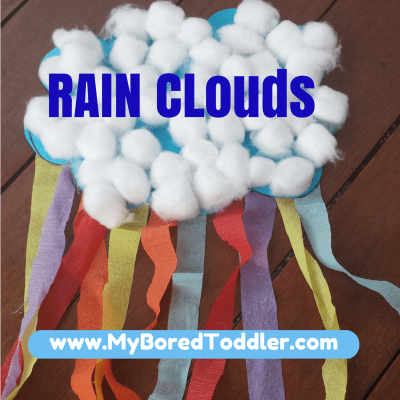 We were inspired to do this one when we were stuck inside for the third day in a row and had exhausted our rainy day box activities! 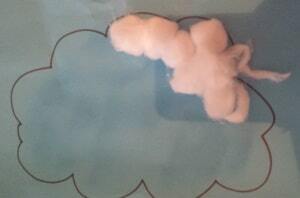 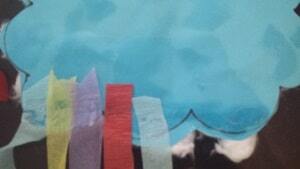 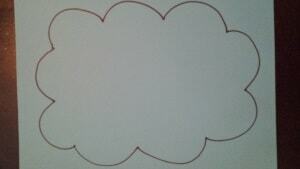 Glue the streamers or crepe paper onto the back of the cloud. If you are looking for some more crafts using crepe paper you might like to make our crepe paper hearts or crepe paper butterfly. 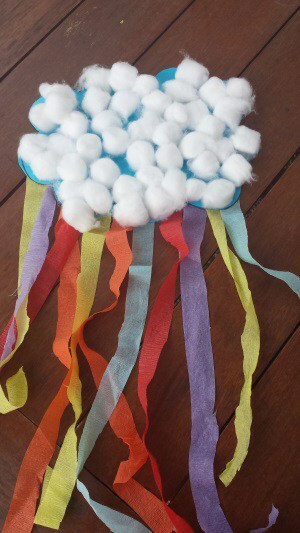 We should try this craft out, I’m sure my son will love it! 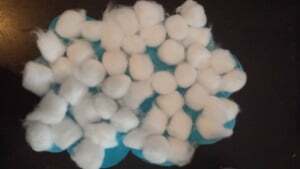 I like that it’s so easy to make, and looks cute too.